I love cookbooks! I love reading recipes, looking through the pictures of food, and reading the personal stories from the authors behind their recipes. Today it’s so easy to find recipes online, but there’s something about looking through a cookbook for a recipe that I just love. Today I am so excited to share with you one of my favorite new cookbooks. 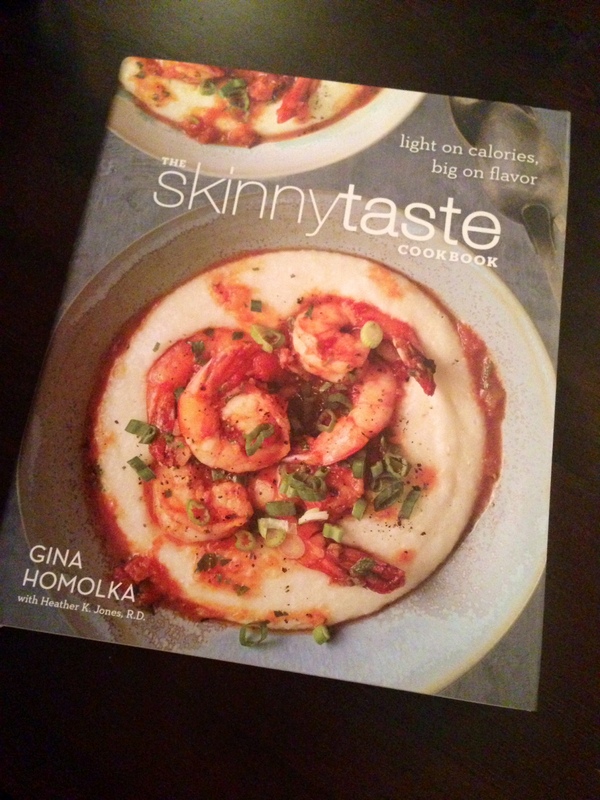 I’m sure most of you are probably familiar with the site Skinnytaste, but did you know Gina recently published her own cookbook? 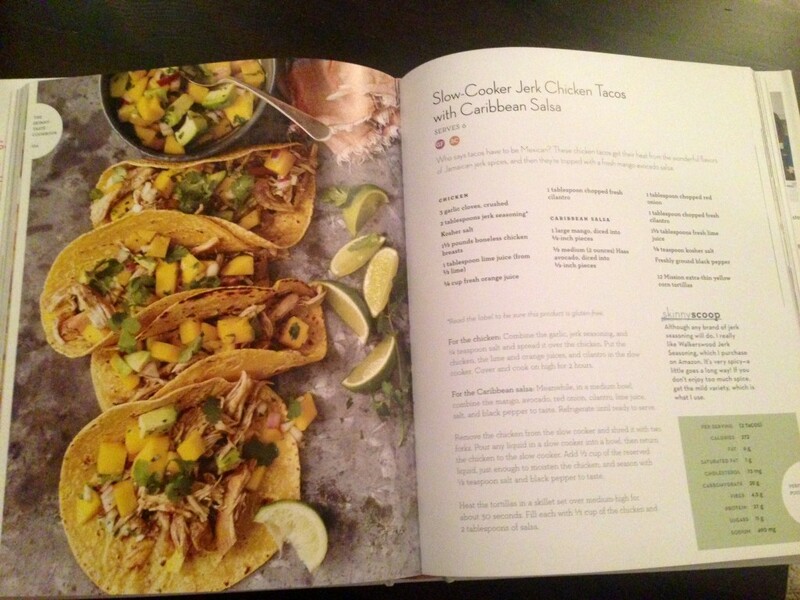 The Skinnytaste Cookbook has 150 recipes including 125 all-new dishes and 25 must-have favorites from her site. 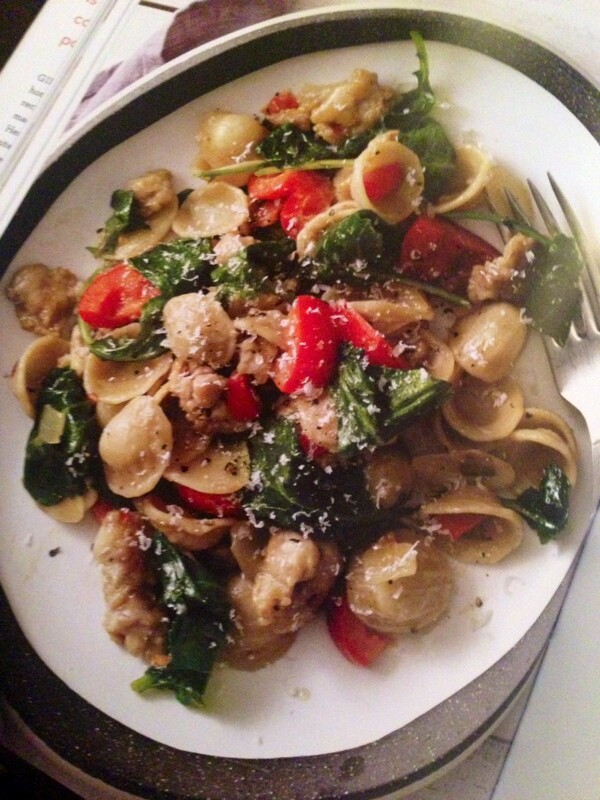 The photos in the cookbook are incredible and make you want to cook all the recipes immediately! You would never guess by looking at these dishes that they are all low in calories. 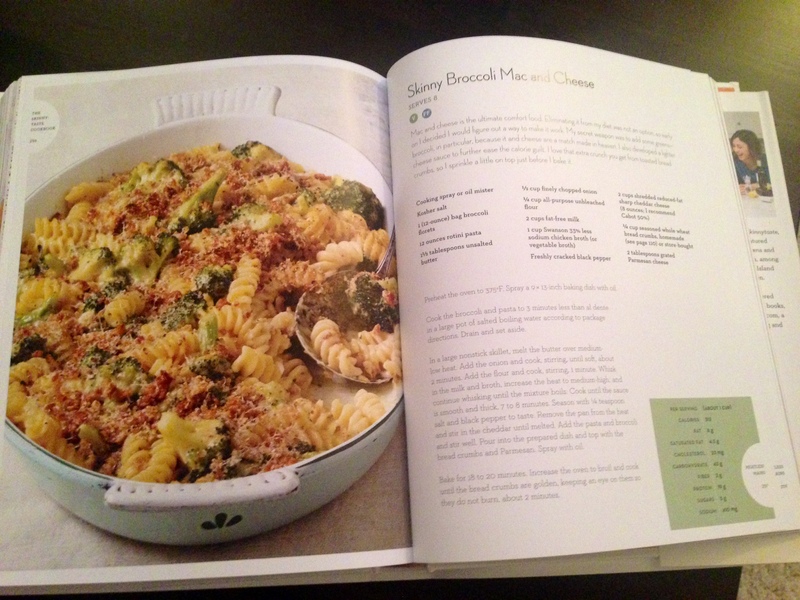 So far one of my favorite recipes from this cookbook is the Skinny Broccoli Mac and Cheese. I love mac and cheese and this lightened up version is perfection! You can read more about this fantastic new cookbook and order your own copy here. This would make a great Christmas gift for the food lover in your family! Disclaimer: I received this book from Blogging for Books for this review. All thoughts and opinions are my own. Linking up with Jenn and Jenna. This cookbook is on my Christmas wish list- I hope I get it! It’s so awesome! Sign up for Blogging for Books and you can get your own copy for free!! I have a bit of a problem- I collect Vegan cookbooks. We are not 100% Vegan but it is what we mostly eat, however, this cookbook sounds like something I would love. Adding it to my wish list! It’s a great cookbook for sure! 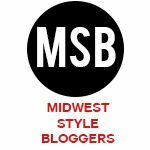 You should sign up for Blogging for Books and you can receive all kind of cookbooks for free!